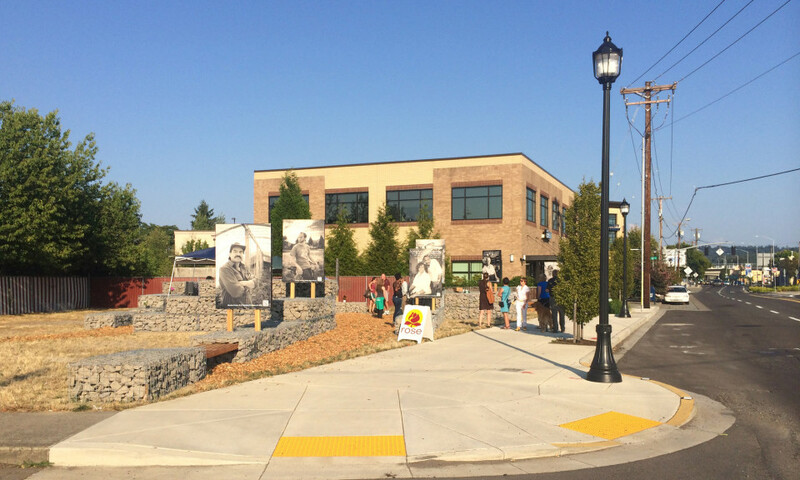 Lents Town Center was looking for a common identity and increased use for some of the small vacant lots. 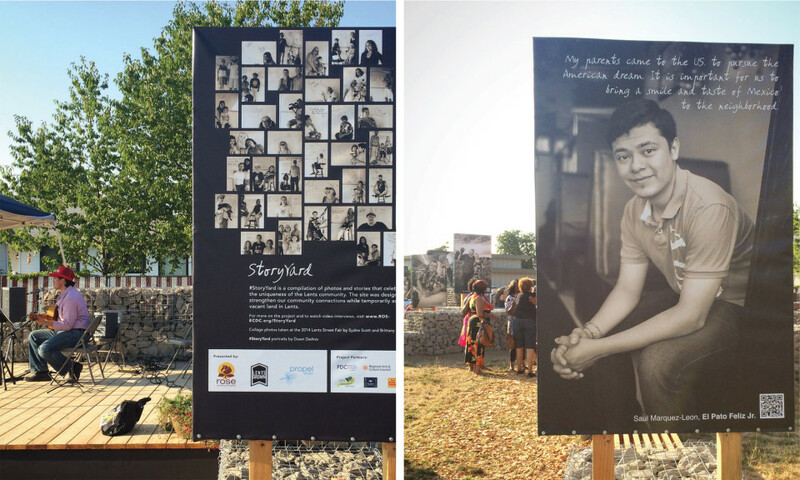 Our installation, titled Lents Grown Story Yard, activates it’s site by providing a parklike setting along with a photography installation that highlights local business owners. As businesses multiply and the population grows, public spaces will become a premium location for gathering, socializing, and playing. 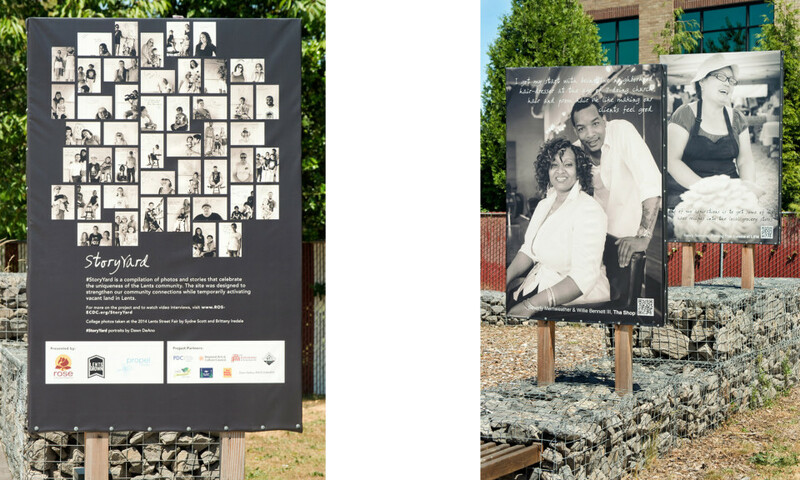 Our design for the vacant lot at SE 88th and Foster, is an adaptable, temporary installation of unique urban furniture, coupled with a photography exhibit consisting of portraits of local business owners. 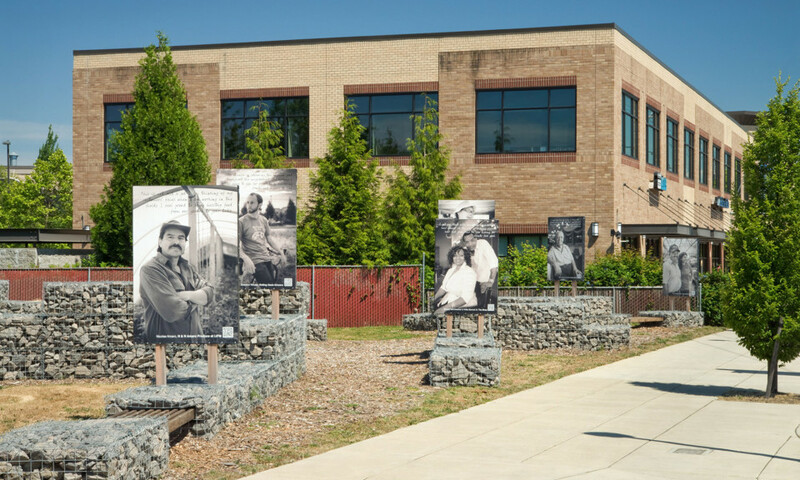 These modularly designed Gabion walls, and benches support the large scale portraits, and are a unique and identifiable landmark for the district. Using low-cost materials that are both beautiful and durable, these benches and urban furniture provide residents, visitors, and shoppers a playful place to sit, relax, people watch, and enjoy their community. The project has already attracted interest from local residents, with over 100 people participating in the grand opening, and groups already asking to use the site for future community events. 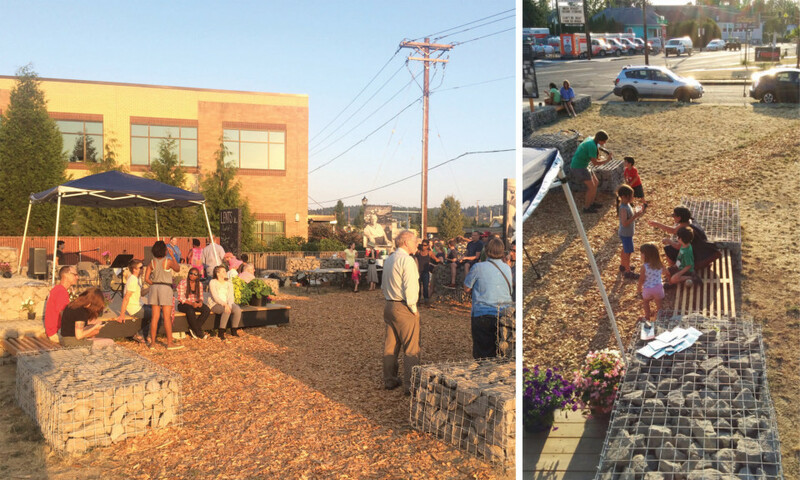 As our first public interest design project, Lents Grown Story Yard, has been an incredible opportunity to collaborate with community groups, non profit organizations and ultimately create a place that will improve the quality of life for the Lents community. 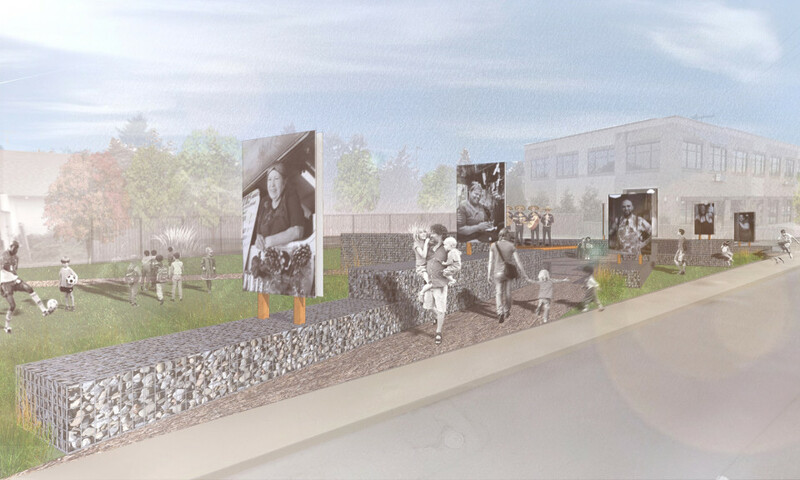 This project is the first of a series of Propel Studio projects in the Lents Town Center, located just a couple blocks from the Lents Grown Kiosk.